Sol Luckman is a multi-award-winning author and pioneering ink and acrylic painter whose work has appeared on mainstream book covers. His books include the international bestselling CONSCIOUS HEALING and its popular sequel, POTENTIATE YOUR DNA. Sol's visionary novel, SNOOZE: A STORY OF AWAKENING, the coming-of-age tale of one extraordinary boy's awakening to the world-changing reality of his dreams, won the 2015 National Indie Excellence Award for New Age Fiction. Written with young adult and young-at-heart readers in mind, SNOOZE further proved its literary merit by being selected as a 2016 Readers' Favorite International Book Award Finalist in the Young Adult-Coming of Age category and receiving an Honorable Mention in the 2014 Beach Book Festival Prize competition in the General Fiction category. 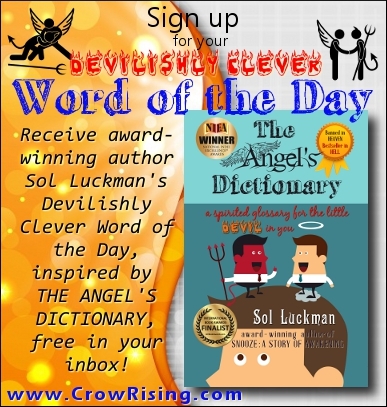 Sol's latest book, THE ANGEL'S DICTIONARY: A SPIRITED GLOSSARY FOR THE LITTLE DEVIL IN YOU, has also garnered three major recognitions: Winner of the 2017 National Indie Excellence Award for Humor, Finalist in the Humor category of the 2018 International Book Awards and Finalist for Humor in the 2018 Best Book Awards. 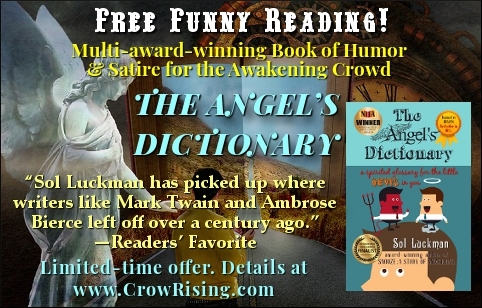 THE ANGEL'S DICTIONARY reinvigorates satire to prove that—though we might not be able to change the world—we can at least have a good laugh at it. Then again, maybe laughter can transform the world!